Daniel Raufast, the creator of KICKERS, stops in front of a poster for the American musical HAIR, a reflection of a strong libertarian movement. A whole generation full of energy and new aspirations is inventing a new way of life for itself day after day. The key words from this new generation which is determined to live its dreams are: INDEPENDENCE, OPTIMISM, IMAGINATION and EVASION.. 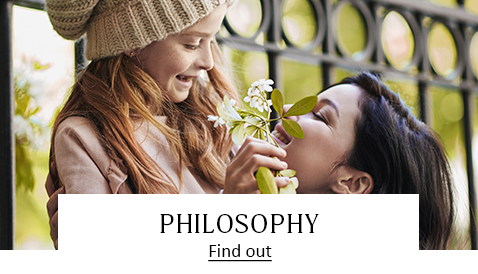 In the wardrobe for this imaginative new world, there is one key element missing which would be to shoes what jeans are to trousers: the symbol of an alternative culture, the expression of being different and the promise of enjoyment. This shoe appears for the first time in the spring of the same year. 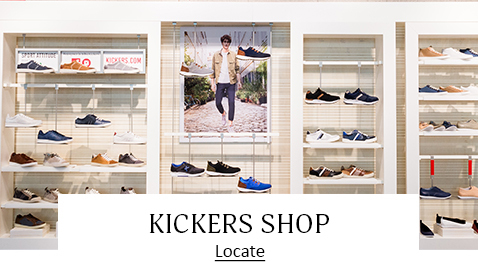 It is called KICKERS, based on the English word KICK (kick) and KER (for the American consonance), with an “S” on the end for its similarity with the word jeans. LLike JEANS, which are a fetish with rock kids, KICKERS shoes are solid, practical and comfortable. Like the multicoloured SHIRTS of Flower Power's descendants, these shoes are lively, cheerful and colourful. 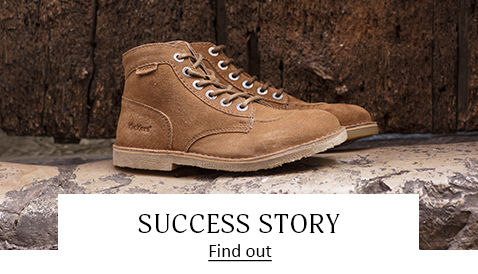 And like almost everything that is popular with the heirs of the “Swinging Sixties”, these shoes promote the simplicity and authenticity of natural raw materials. From the very beginning, KICKERS was interested in the international market. The brand is now present on all continents through its subsidiaries, distribution partners and licensees throughout the world.